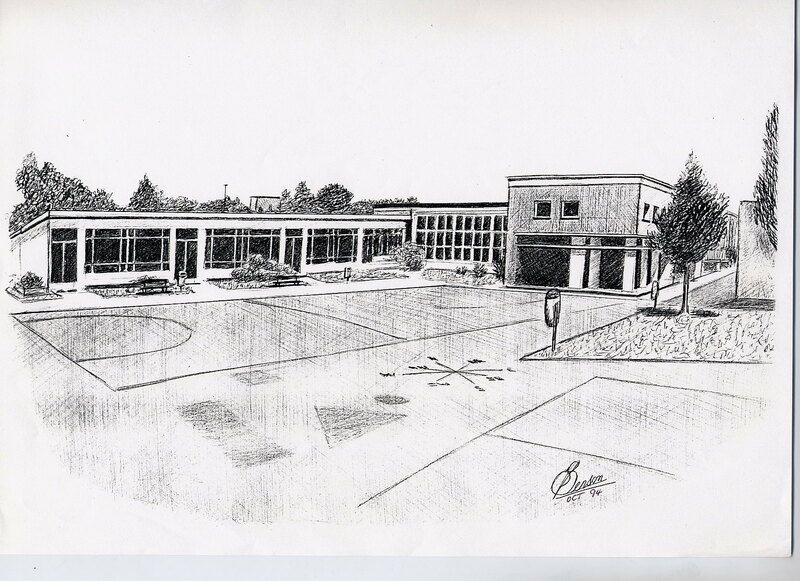 My featured graphic is a drawing I completed of Krefeld First School in Krefeld, Germany. Our son went there after a short time attending Wavell Junior School in Catterick. The drawing was to go on to become the front cover of official handouts from the school featured. Apart from the notion of advancing steadily I feel it’s worth noting that there was a simple, but accurate compass painted on the playground. How military is that! That was rhetorical, so please don’t inundate me with suggestions. Why mention the compass? Apart from advancing it gives a loose connection to going in the right direction. Okay, I’m stretching a point. No, I refuse to say a compass point. If you’re still with me the whole theme of advancement is to do with my romantic thriller, ‘Ten Days’. I’ve now completed the first two drafts and things are going well with the third. In an effort to give more substance to the two main characters I’ve allowed them both a chapter apiece at the start. They had previously been sharing both the first chapters but I’m now happy with the change. Apart from saying it’s romantic and a thriller I can confirm that the main story takes place in Panama, Central America. For the time being I’ll withold the jacket blurb and the front page strapline but I can now confirm I’ve requested our son Andrew to design the front cover for me. As an artist I have ideas, but Andrew is creative naturally and professionally so it would be foolish of me to go it alone. What’s next? Of course we should really look forward if we’re calling this post Advancing Steadily. My intention is to complete the third and final draft by early October. I will have five sets of the manuscript printed and give them to a variety of pre-selected readers with a standard questionaire to give me feedback. If all goes well I will self-publish as an E-book in November.